The Ashbourne hotels listed below are either in the town or we have given a rough guide as to how far they are from Ashbourne. We hope you enjoy your stay and find your ideal accommodation. Ashbourne hotel. 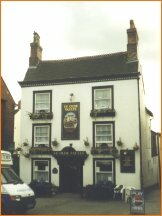 Situated in the centre of Ashbourne. 17thC Coaching Inn. Ashbourne hotel. Situated in the centre of Ashbourne. All en - suite. The Dog and Partridge is a 17th-century inn just a 10-minute drive from Alton Towers, situated on the edge of the idyllic Peak District with countryside views. With a leafy terrace and cosy restaurant, Crown Inn offers cooked breakfasts and free Wi-Fi. The hotel is situated in Marston Montgomery, on the edge of the Peak District National Park. At the gateway to the Peak District the Miraj Hotel is in the ancient spa town of Ashbourne. With modern bedrooms, The Miraj boasts a swimming pool and sauna. In Ashbourne, Station Hotel has free Wi-Fi and free ample parking, 15 minutes' from Alton Towers. The town centre and bus station are a 2-minute walk away. For hotels accommodation in other areas nearby see Matlock hotels & Derby hotels.